My own introduction to Charles Dickens came early, and was so woven into the fabric of my childhood that I can’t imagine my life without the presence of his characters with their failures and triumphs. My father, a graduate of Yale Drama School, adapted A Christmas Carol into a dramatic reading—restoring the vivid story to its original telling style. Ray Purl also performed the part of “Scrooge” while the rest of his family and various core groups of actors played the spirits of Christmas Past, Present, and Future; Tiny Tim and Bob Cratchit, Jacob Marley and Mr. Fezziwig. By the time Scrooge was transformed and Tiny Tim proclaimed, “God bless us, every one!” there was never a dry eye in the house, including mine. The expression “the dickens” actually goes back at least to Shakespeare’s time, and means something devilishly difficult. And that describes serial story structure—a writing style that must’ve seeped into my thought-process more profoundly than I realized. Except for A Christmas Carol, all fifteen of Dickens’ major novels were originally published serially. When it came time for me to create my own major work, it turned out to be a serial radio drama called Milford-Haven. The head part of this project was a dedicated study of episodic structure, an ongoing experimentation with dialogue and timing, story arc and character development. Each scene had to begin with a quick establishment of mood and place, and had to end with a revelation or a realization. In the middle there had to be a specific plot advancement or an authentic moment of connection between the characters— romantic or humorous, argumentative or conciliatory. When publishers and audiences became interested in novelizations of the series, of course the books had to follow the serial structure upon which they’d be based. At the time, this style of book-writing was utterly out of favor, causing publishers to turn me down, agents to tear their hair, and me to seek publication through a small press. (A marvelous New Yorker cartoon by Handelsman has Dickens meeting with a publisher who remarks: “Well, Mr. Dickens, was it the best of times, or was it the worst of times? It could hardly have been both!”) Despite the skepticism of publishers, both Mr. Dickens and I gained a loyal following through our serial publications. And—wouldn’t you know—in our own time, serial story-telling has once again become the “latest” and “greatest” fad! I remember Jeff Bezos, chair of Amazon, announcing at Book Expo America four years ago that he felt the new technologies and delivery systems were uniquely suited to serial story-telling and that he “wouldn’t be surprised” if authors figured this out. I shook his hand that day, and thanked him for affirming what my readers and I were already proving. Writing a serial story really is the dickens: more complex than knitting a multi-cabled sweater, planning a wedding for three-hundred, or even writing a comprehensive review document for P&G’s Guiding Light, which I was hired to do several years ago. Why? Because each individual character has an arc, a theme, a series of goals. And these are changed by each contact with every other character. New information comes to light that casts new shadows on previous storylines that cross-connect. The documentation to keep all this coherent takes up one hard drive after another, and now, a fair amount of water-weight in the “cloud.” But the thrill and the challenge, the realism and the imagination . . . I wouldn’t have it any other way. Well, now I do have a major publisher, and all’s right with the world. Book one, and its short-story prequel, are both available as e-books—following the Bezos prediction. Yet far from deserting traditional print books and book tours, my publishing team and I are committed to providing quality books to satisfy touch, smell, sound, and sight; and to ensuring that I meet my readers in person whenever and wherever possible. My own acting genes demand that I connect with my audience, another point of agreement with Dickens, who performed his texts as dramatic readings. Indeed Dickens himself said, “Electric communication will never be a substitute for the face of someone who with their soul encourages another person to be brave and true.” Ah! The very goal of my books and my talks. Thus, What the Heart Knows (Book one of the Milford-Haven Novels) is also traditionally published as a gorgeous hard-cover tome, and book two will follow next fall. Back to the matter of serial-story-telling . . . now that I’ve had so many comments from you, my readers, about book one, what’s the consensus on reading a book where some issues are resolved, but some are left dangling? Many folks try to get some sort of hint out of me, either at my book signings or via e-mail. I just smile, though, and reassure them they really don’t have much longer to wait. I learned this from my mentor Louis L’Amour, who refused to reveal an important plot point when the paperback copy I had of his current novel had been misprinted, with a clump of repeated pages. He did get me a fresh copy of the book. But he made me read it. What he really did was protect my reading experience, refusing to interfere with it. So I must do the same. Nope, I can’t reveal what’s coming next October in book two, Where the Heart Lives. Well, maybe a hint here and there—so check my blog, Twitter, Facebook page or newsletter. I mean, what’s the fun of writing a serial story if I can’t provide little clues here and there? Oh, and while you’re waiting for book two, come September you’ll have another prequel short-story, this one titled When Whales Watch. It’s not easy writing a novel series—remembering exactly where each character was when we last saw them, and not having them like rhubarb in one book and hate it in the next. And it’s a complex business, striking a balance between enticing my readers and maddening them (you). 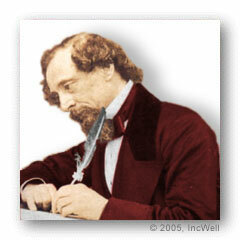 In fact it’s the dickens to do this work and do it right. But I have a great Dickens to follow. And I can hardly wait to see what’s next. 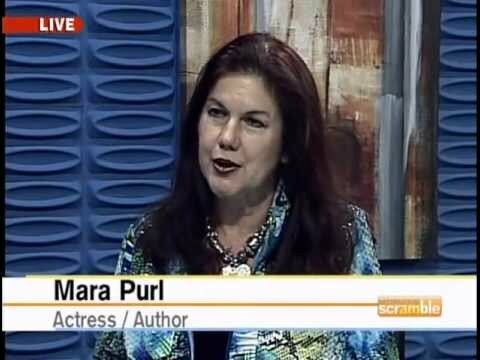 This entry was posted in about issues of the heart, Art and Entertainment, Book Clubs, Books, California, e-books by Mara Purl, Heart, Louis L'amour, Uncategorized and tagged A Christmas Carol, books, Charles Dickens, literature, serial story structure. Bookmark the permalink. Hi Joan, great to hear from you and welcome to Milford-Haven! This is the 20 year anniversary of my “little town with a big heart” and will be a true “heart” journey for you as you enter this wonderful chapter of your life. The second novel in the series will be out in October, “Where the Heart Lives.” And just before that, an exciting short story called “When Whales Watch.” Novel #1 “What the Heart Knows” became a best-seller just a few weeks ago. 🙂 How lovely Jan Karon’s series was helpful to you. Jan and I both spoke some years ago at a book festival. Congrats on your healing! My very best to you and glad you discovered my books!